In 2011, the Red Rocks Cultural Centre established botanical gardens around the Volcanoes National Park in Musanze district, northern Rwanda, to sensitize local communities about the value of plants and help protect the endangered plant species in this area. 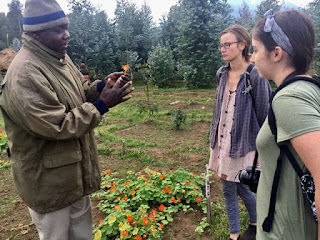 Theophille Kamana explains to tourists the medicinal use of one of the plants. And six years down the road, Red Rocks’ initiative has played an important role not only as a resource for the study and cultivation of plants with healing properties, but also as a key component of environmental conservation. According to Theophille Kamana, the head of the botanical gardens, the project has so far succeeded in deterring rampant destruction and potential extinction of medicinal plants that are endemic to the Virunga Massif forests. “Before we started this project, locals would enter deep into the conservation areas and indiscriminately harvest these plants. But now they approach us and we freely provide them with whatever plant they need from our garden. It’s a win-win situation for the local people and for us who are committed to protecting the environment around the national park,” says Kamana. 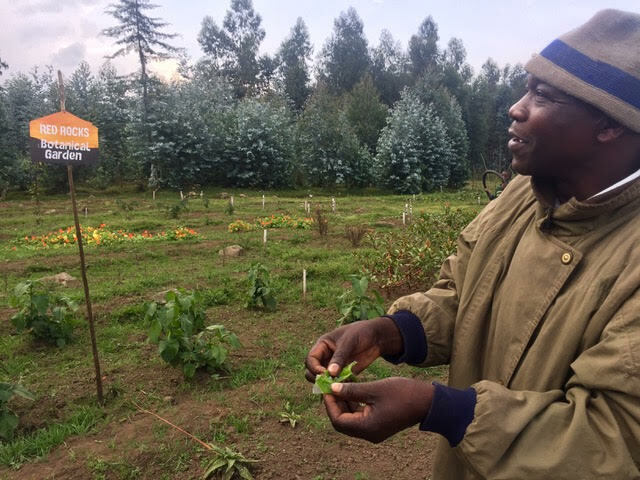 Kamana adds that his organization liaises with the state-run Rwanda Development Board (RDB), which has not only given them the license to operate the gardens but also provides them with seeds. RDB, he says, has also been helpful in the project’s expansion, and that through their cooperation, Red Rocks’ botanical gardens initiative is now able to handle the high demand for seeds and plants from those who need them. Kamana says the mission of the botanical gardens is also to teach the young generation about their heritage, as far as medicinal plants are concerned. He himself a traditional herbalist, Kamana says that what Red Rocks has done is to provide researchers and students an ideal place to study some plant species.